BENTON, La. — A school board in Louisiana has rejected the demands of the American Civil Liberties Union (ACLU) to not allow students to place prayer request boxes on campus and that its principal stop mentioning God on the school website. 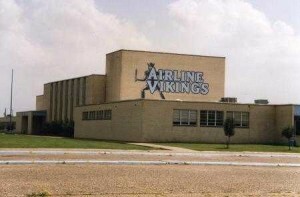 As previously reported, the organization sent a letter last month to the superintendent of the Bossier Parish School System to complain about the activities at Airline High School. It asserted that the prayer boxes, which were allegedly placed by the student-led Fellowship of Christian Athletes, and Principal Jason Rowland’s use of the phrase “God bless you all” on the school website, are illegal. On October 1st, the Bossier School Board issued a statement rejecting the ACLU’s assertions. “The board’s counsel has investigated the allegations raised by the ACLU and found them to be without a factual or legal basis,” it wrote. The board found that the prayer boxes had not even materialized yet, but even so, would be permissible because the concept came from students. The board also had no problem with Rowland’s words, and did not find him to be engaging in proselytization, contrary to the ACLU’s claims. “As the facts of the case we didn’t think we had any problems, so no corrective action is being taken because we don’t have problems,” board member Dennis Bamburg told the Shreveport Times. The board also unanimously passed a resolution reaffirming its commitment to the religious rights of students. “Now therefore be it resolved that the Bossier Parish School Board does hereby proclaim to the citizens of Bossier Parish, the citizens of the State of Louisiana, and to freedom-loving Americans everywhere that in Bossier Parish schools the constitutional and statutory rights of students to engage in student-led, student-initiated religious expression shall be respected, allowed and defended,” it reads in part. On Saturday, hundreds attended a rally in support of Airline High School, praying and listening to speeches from local leaders.